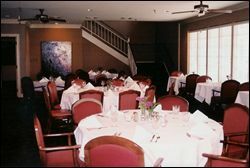 The Pine Bluff Country Club Restaurant is open to members and their guests on Tuesday through Friday, 9am-9pm and Saturday and Sunday, 8am-9pm. Don't forget to make reservations! Our dining facilities are non-smoking facilities. 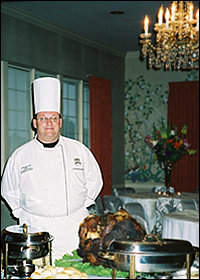 Lead by our Executive Chef Jamie McAfee, the club's staff prepares dishes that range from Southern style cooking to International cuisine. Formal dining takes place in our main dining area, but during the day members can enjoy a more casual experience without sacrificing taste. Please view our menu online. All material ©2010 Pine Bluff Country Club. All Rights Reserved.